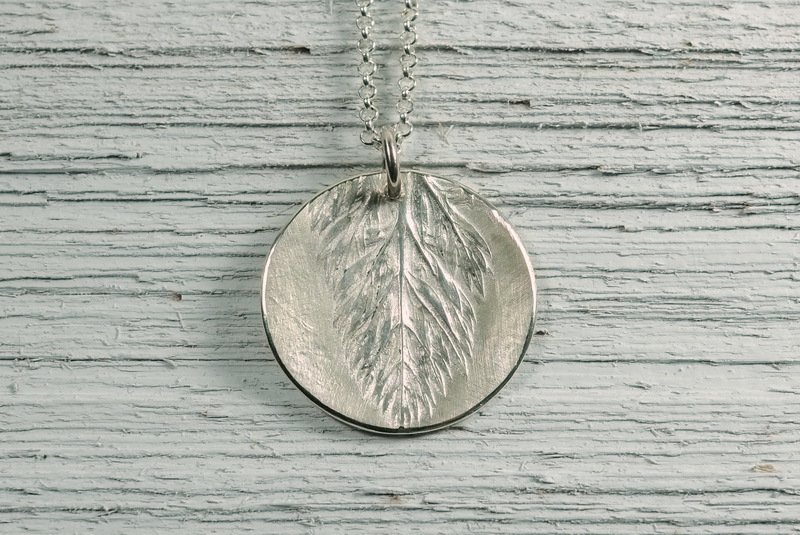 Handmade silver pendant on a sterling silver chain. The texture is made from carrot tops collected from my veggie garden. The pendant measures ~1" (~25mm) in diameter.